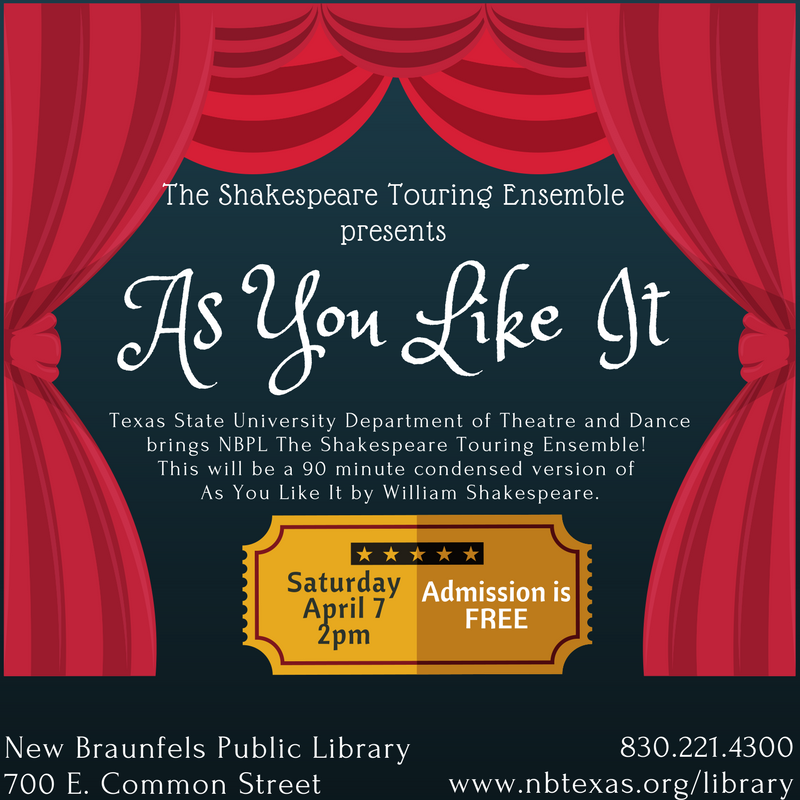 The New Braunfels Public Library offers a variety of cultural, topical, and educational programs for adults and families. Many of the regularly scheduled programs include story times, arts & crafts activities, holiday-related programs, health and fitness activities, gardening activities, book clubs, author visits, smart device help sessions, paws to read program, and more. 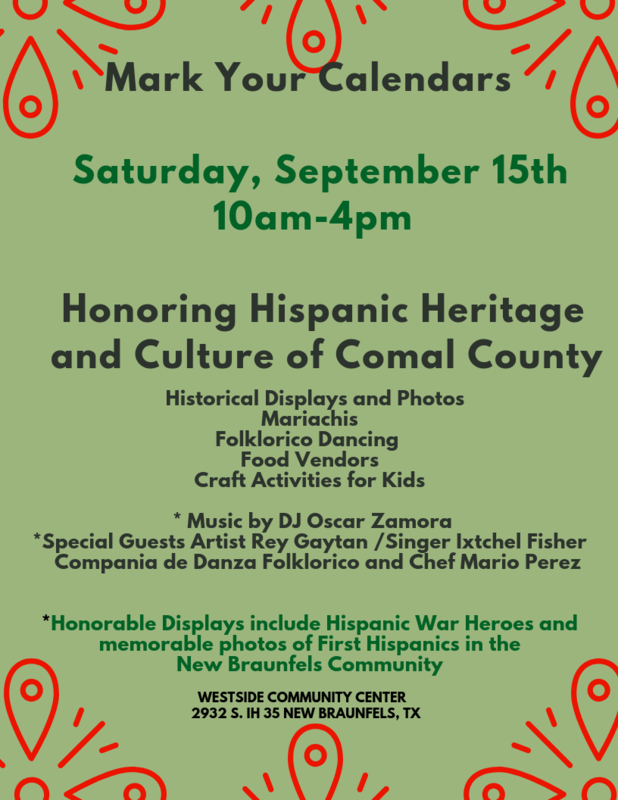 Hispanic Culture and Heritage of Comal County: The Westside Community Center hosted this Hispanic Heritage event to honor local Hispanic veterans, businesses, and Comal County's first Hispanic residents. This event gave patrons the chance to learn about the rich Hispanic Heritage of New Braunfels. The event included historical displays and photos, Folklorico dancing, music, and special guest singers and artists. NBU Rain Barrel DIY: This popular activity has many positive impacts such as recycling, money saving, and a fun activity that patrons are able to take home. The only thing patrons had to bring was their own 32 gallon container. All other supplies, information, and instructions were provided by New Braunfels Utilities and the City of New Braunfels. Book Clubs: NBPL offers 2 main book clubs: the Mystery Book Club and the Fiction Book Club. Both are well attended and meet once per month. Cooking Classes: The Westside Community Centers hosts multiple cooking classes and activities. These programs are educational, fun, and free for patrons to participate. 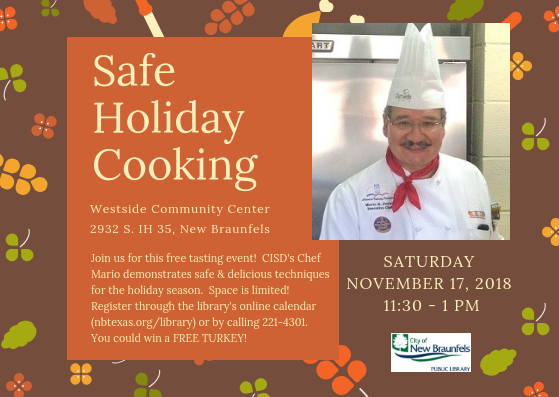 Many of the topics include new recipes, safe food handling, and holiday specials. Many of the classes use products used from the community garden. Power Up At Your Library Month: This is the last year this statewide program will be implemented. The library took advantage by posting about one of our digital resources each week day and continuing to host our Open Tech Sessions every Wednesday and Thursday. Annual Edible Book Contest: This fun contest is hosted by the Westside Community Center each year. We invite patrons to get inspired by a book and back a cake based on that book. This year we had very creative entries! College Readiness: The library is very active in helping teens prepare for college. 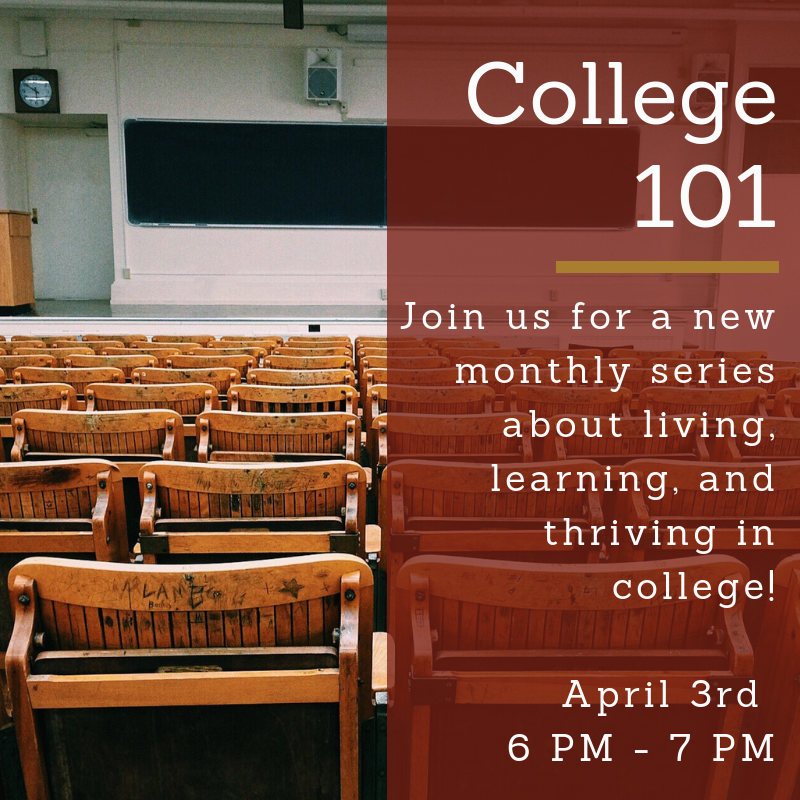 We host college readiness programs that include tips on dorm life, financial aid, how to survive your first semester of college and more! 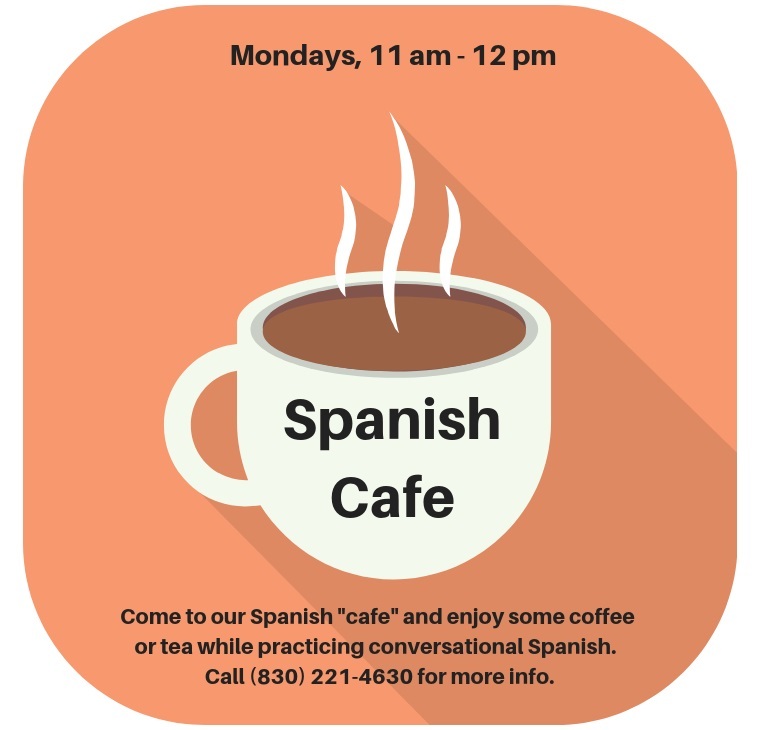 Spanish Cafe: This year NBPL started a new program where Spanish speakers and people learning to speak Spanish can meet and practice the language. This has helped many patrons implement what they've learned using our databases by corresponding with others who are fluent in Spanish. In turn, it has also helped some Spanish speakers with their English! Veteran Watercolor: This program invited veteran's and their families to take a water color class with Marine Corps Veteran Rey Gaytan. 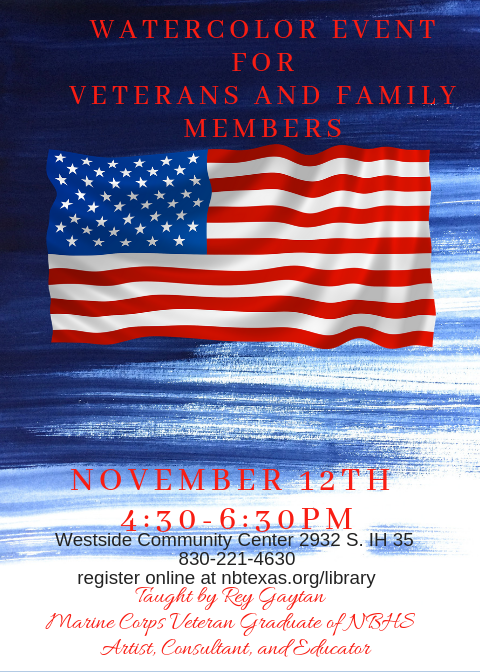 This gave local veterans and families the chance to meet other local vets and share experiences all while creating something together. These are just a few of the many programs hosted by the library. All programs this year were well-received within the New Braunfels community and many of the programs were even inspired by patrons’ interests.